A Montreal-based shipping and logistics company has plans to develop a new container loading facility at the Port of Prince Rupert in northern British Columbia. Ray-Mont Logistics will develop an “integrated logistics and container loading facility” that will handle Canadian pulses and cereal crops, according to a March 20 news release distributed by the Prince Rupert Port Authority. 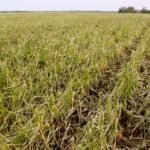 The proposed facility, to be located on the south end of the port’s Ridley Island Industrial Site, will fill containers with a variety of crops including lentils, peas, beans, soybeans, flax and wheat. 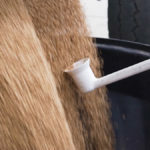 Bulk crops will be transported to the Ray-Mont facility in hopper cars originating from various points in Western Canada, Central Canada and the U.S. Midwest, the news release stated. Bulk cargoes will be transferred to ocean containers and loaded onto vessels for export via the Fairview Container Terminal, which is also being expanded. 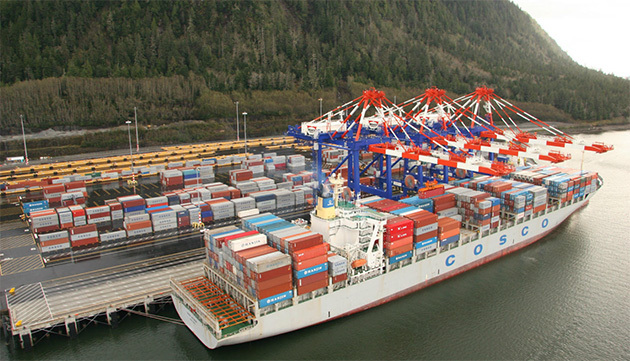 “It is our pleasure to be working with the Prince Rupert Port Authority and its partners to establish a new transload facility in the Port of Prince Rupert, and continue to pioneer efficient services for connecting North American crops to overseas customers,” said Charles Raymond, president and chief executive officer of Ray-Mont Logistics International. Once completed, the transloading facility will employ about 40 people. The 10-acre facility will include a rail loop corridor in excess of 100 rail cars, a grain dumper pit and a state-of-the-art conveyance system. Site work was scheduled to begin this week. Ray-Mont expects the new transloading facility to be operational in time for the 2017-18 crop year this fall. “We’re excited to partner with Ray-Mont Logistics to create a Canadian trade solution for high-value, high demand agricultural products,” said Don Krusel, president and chief executive of the Prince Rupert Port Authority. Ray-Mont Logistics is the latest company to invest in logistics and transloading services at the Port of Prince Rupert. Fairview Container Terminal is currently being expanded to handle an increase in annual volumes from 850,000 TEUs to an anticipated 1.3 million TEUs. The Fairview expansion is due for completion in August 2017.